Brent crude oil is a benchmark that defines oil prices around the world. The light, low-sulphur oil is extracted from under the North Sea and consists of Brent Blend, Forties Blend, Oseberg and Ekofisk crudes. As a light sweet crude, Brent is considered more desirable than heavy sour crude because it can be refined more easily into diesel and gasoline. Heavier crudes are harder to transport as they don't flow as easily through pipelines. So Brent can command a premium price. 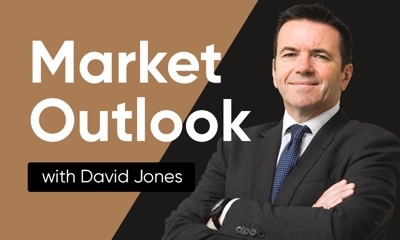 Brent crude oil from the North Sea is seen as the global benchmark because European, African and Russian markets are tuned to its price – either because they import it, or because they have oil of their own that they can’t sell for more than Brent. As much as two-thirds of the world’s traded oil is priced relative to Brent. What are the other types of oil? There are many other regional grades of oil. As well as the Brent crude oil spot price, the financial press also tends to quote the price of West Texas Intermediate (USA). Other types of oil include Western Canadian Select (Canada), Dubai crude (Middle East), Bonny Light (Nigeria) and Tapis (Singapore). They all have different characteristics as regards texture and aromaticity, and this influences their pricing. But Brent and WTI are the most important benchmarks. How has the price of Brent crude fluctuated in modern times? The price of Brent crude has seen some dramatic peaks and troughs in recent decades. At the start of 1999 it stood as low as $10 a barrel. Over the following years it climbed steadily until it reached a high of around $140 a barrel in mid-2008. But in the second half of 2008 the price suddenly slumped to under $40 a barrel. Since then it’s zigzagged back up to well over $100 a barrel and back down to less than $40. At the end of February 2018 the Brent crude oil spot price stood at around $58 a barrel. The spot price, incidentally, is the price you would have to pay to take immediate physical delivery of the oil. But most refiners use long-term contracts to buy oil so they’re cushioned against price spikes. So what influences these big fluctuations in the price of Brent crude? Two of the key drivers are geopolitical and economic factors – for example, a war breaking out in a sensitive part of the world, and especially a conflict involving an oil producer. Or an economic recession that diminishes people’s spending power and therefore their demand for energy. But the basic laws of supply and demand also come into play whenever OPEC cuts or raises oil production. When supplies are tight, you can expect the price of Brent crude to rise. To see the recent ups and downs of the Brent crude oil price, check out our Oil – Brent chart. Where is Brent crude oil traded? Brent crude oil is traded in futures and options contracts on major futures exchanges – for example, the Intercontinental Exchange (ICE). Of course, futures are very volatile and there’s a lot of risk attached to them. You can make big losses as well as big profits. Another way of getting exposure to Brent crude oil is through an exchange-traded fund (ETF) that tracks the price changes of Brent oil. ETFs trade on a stock exchange and can be bought and sold in a similar way to stocks. Or you can buy shares in a company that drills for Brent oil, such as ExxonMobil or BP. 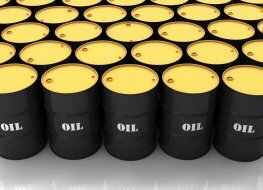 Why is Brent Crude Oil Spot important to traders? Trade Brent crude oil spot CFDs, other major commodities, indices, forex, shares and cryptocurrencies through Capital.com’s award-winning platform. No commission. FCA and CySEC regulated. Up to 1:200 leverage (professionals only). Available on web and mobile. AI technology. Trade now.